Success is not a guarantee for any startup; a volatile market and fierce competition make for an uphill battle. However, business school can play a vital role in improving these odds for aspiring entrepreneurs. Many business schools now offer startup labs tailored specifically to developing new ideas, pitching business plans, and pursuing investors. What is a Startup Lab exactly? Startup labs typically offer services ranging from branding to technology to marketing to help startups build and refine strong foundations so they can ultimately land investors. These business school startup labs act as incubators for students’ ideas, providing guidance and expertise to develop the idea beyond its seed stage. This experience is invaluable—a safe space to experiment, navigate risks, successes, and failure. This all takes place within the broader business school framework where budding entrepreneurs garner the knowledge and tools to grow a successful business. The room to play and nurture provides a significant advantage for graduates who subsequently enter the field with more confidence and a more comprehensive understanding of how to advance an early-stage company. Established in 2013, IE Startup Lab provides year-round workshops for students to develop their business plan for launch, faculty mentoring, training in marketing, funding, strategy and legal aspects of entrepreneurship. iDendron offers workspace, networking events, workshops and HKD 100,000 in seed funding to support student startup ventures. NUS Start-up Runway provides workspaces and access to resources such as a Lean LaunchPad Programme, legal and accounting consultation, NUS technologies by researchers, engineers and scientists, and a wide network of venture capitalists, investors, industry partners, corporate companies and mentors. Ranked top business incubator in the world. Established in 2010. DMZ provides access to investors, target customers, industry-leading experts and community events for startups to scale and succeed as global companies. Established in 2000, ESSEC offers an incubator, a nursery and a SEED fund and boasts a 72% survival rate at 5 years (compared to an average of 30%). LBS connects students to investors and offers a full range of resources support by professional service providers. SRH Startup Lab provides a collaborative co-working space, an online startup platform, and networking events to connect with like-minded entrepreneurs. The lab also offers seminars, workshops, and mentoring for all stages of the company founding process. This lab is part of the 'Entrepreneurial Success Space', which unites all Entrepreneurship activities across the school’s campuses, offering a unique combination of executive and academic education. AU Entrepreneurship Incubator offers grants and provides experienced mentors, networking and educational opportunities, workspace, resources, and guidance throughout the business development process. 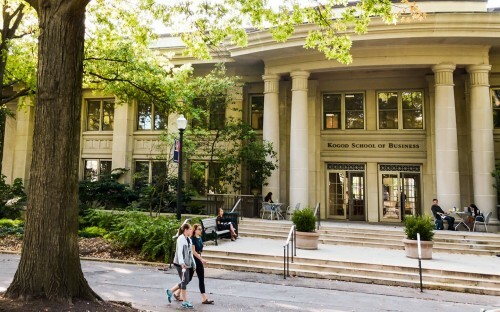 Kogod’s 2,000-square-foot incubator is home to more than 20 ventures, and more than 300 students are enrolled in an entrepreneurship class at the school. Established in 2013, Startup Aggieland is an on-campus incubator and accelerator designed to help students explore and launch businesses around new and innovative ideas. It provides a collaborative, interdisciplinary community where students, experienced faculty and staff, mentors, and local entrepreneurs come together to bring new products, services and solutions to market. Established 1996, Startup Garage offers experiential learning opportunities for future leaders in business, and boasts strong connections with the Silicon tech community. Do You HAVE To Include College Exam Scores, Or GPA, In Your MBA Application? Thanks for sharing usefull information. For get more info https://trendystartups.com.